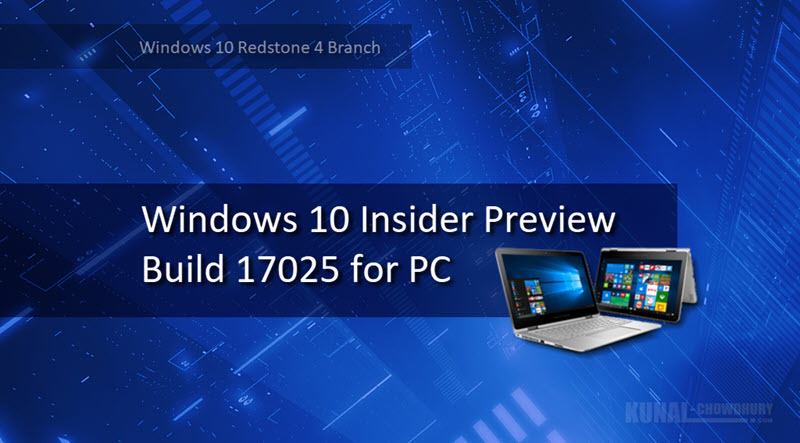 Microsoft, today announced the availability of new insiders preview build. If you are a Windows Insider, and in the fast ring, check for updates to grab the new build 17025. This build is going to deliver from the RS4 pre-release branch. This build contains a no. of new changes, which, you may likely to experience now. Don't forget to check the known issues before installing this build. Windows 10 Insiders Preview Build 17025 adds new Ease of Access settings to make your device easier to use and fit your needs. It also contains option to control your startup tasks with a new option to see all available tasks specified by the app developer and their status. Apart from that, a new Chinese font, as well as lots of improvements and fixes are available in this build. Check out the original release notes for the lists of improvements, fixes and known issues before triggering the update download. If you have come this far, it means that you liked what you are reading (Microsoft releases new preview build 17025 to Windows Insiders).